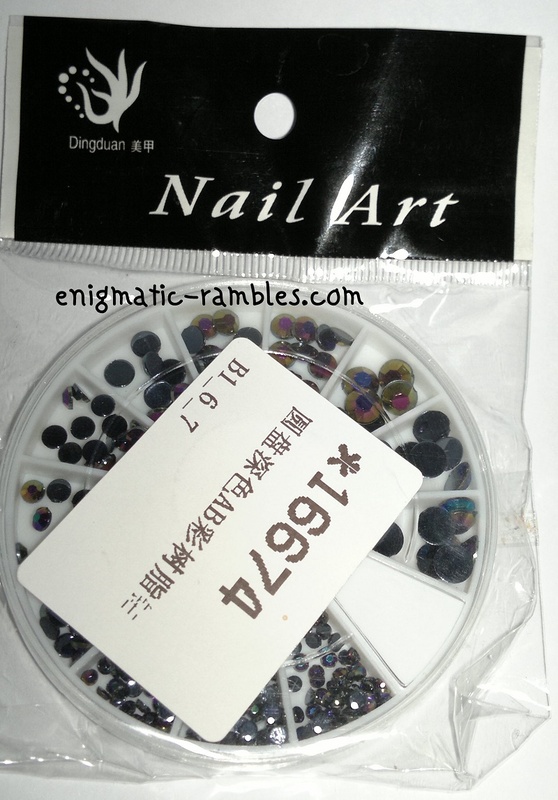 These are listed on the Born Pretty Store as "230Pcs/Box Newly Round Rhinestone Flat Back Acrylic UV Gel Nail Art Decoration Hot Selling Wheel". 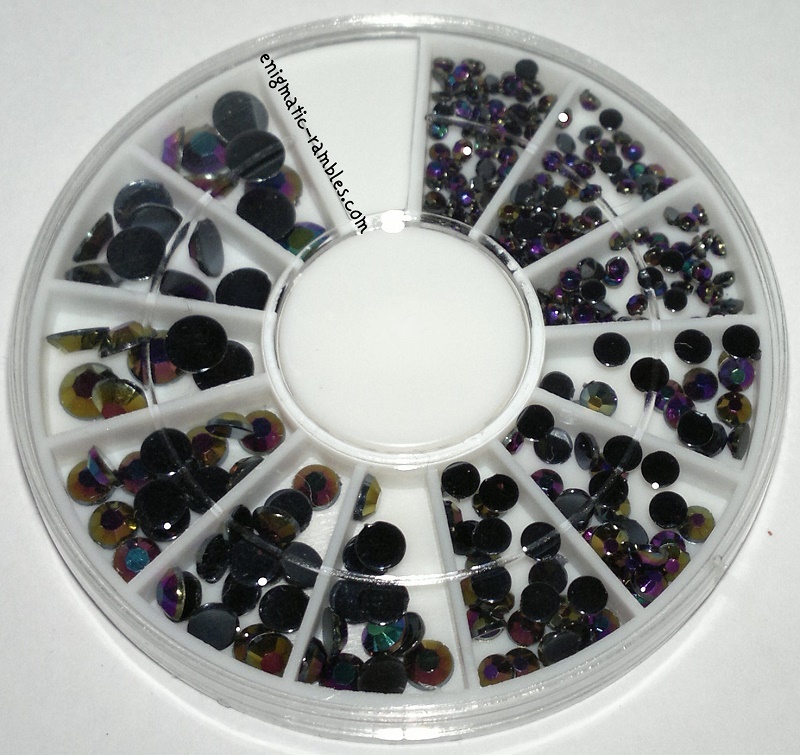 The wheel contains four different sized black iridescent rhinestones. 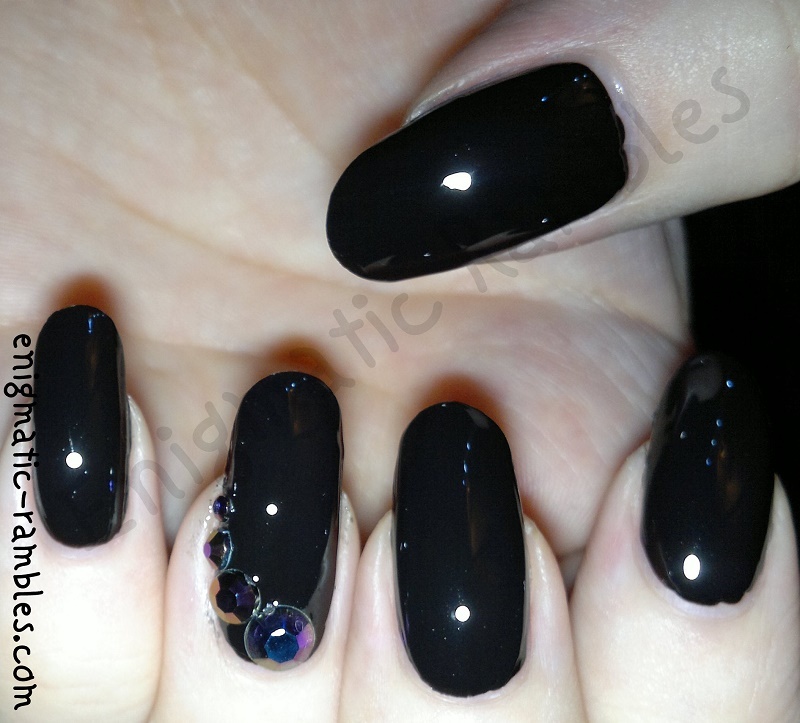 The rhinestones are separated by size, 4mm, 3.5mm and 2mm. 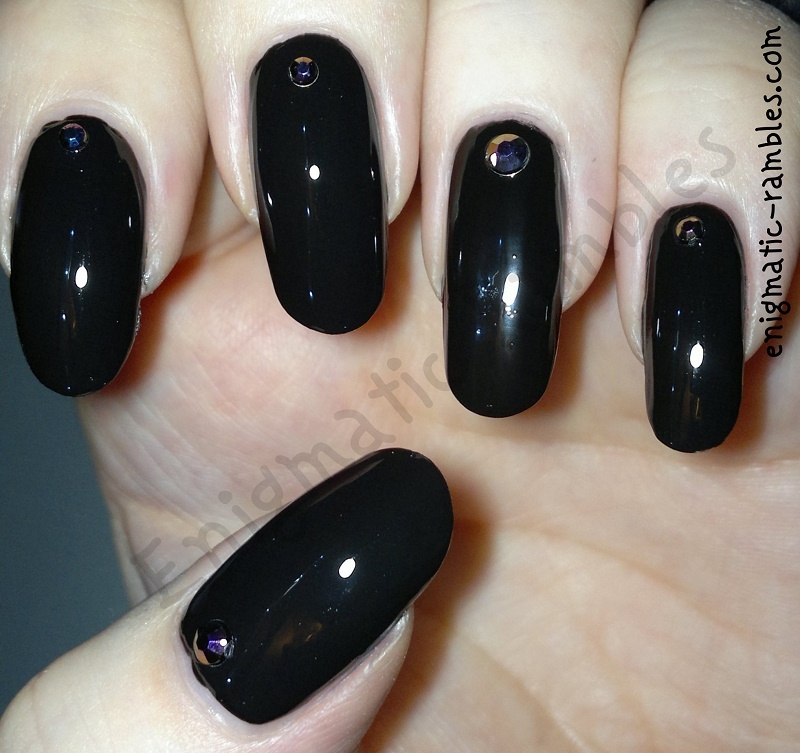 The rhinestones themselves are black but they have a iridescent coating which makes them have an oil on water look to them, which is quite different. I haven't seen any like this before, usually rhinestones come in plain different colours. I found using these studs even over a black base looked great. For the final nails I got a little carried away, you could easily do this design on one nail which probably would look better! 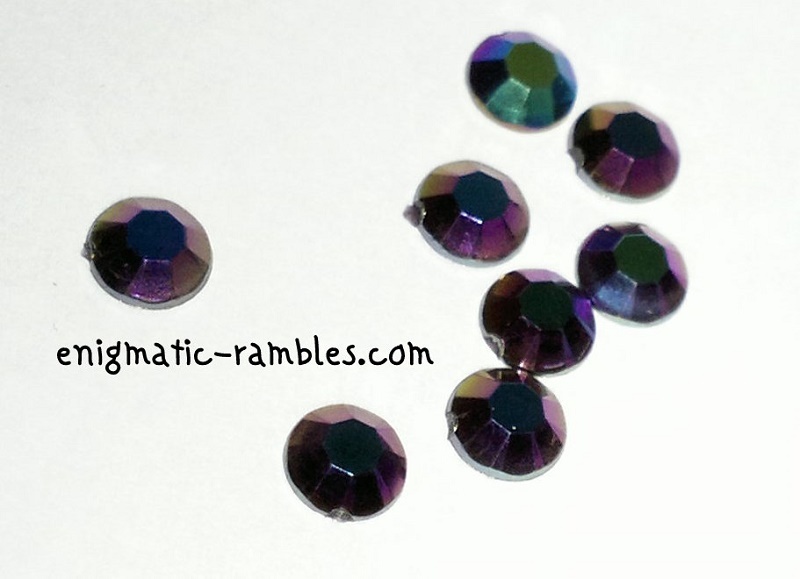 The different size rhinestones mean you can create different looks.